BlackwaterBLUE from monkster.com: £5m Roberto to follow Romeu to Blues? £5m Roberto to follow Romeu to Blues? 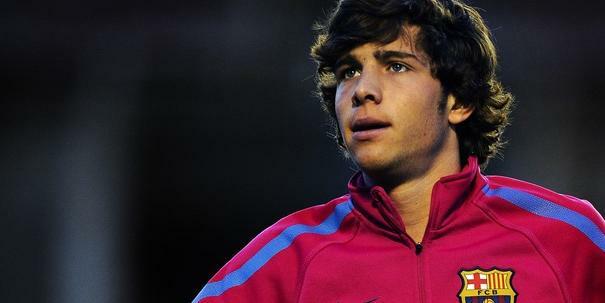 Andre Villas-Boas is planning a fresh raid on Barcelona as the Chelsea boss weighs up a move for young midfielder Sergi Roberto. The Blues boss has been impressed by summer signing Oriol Romeu and Roberto is another product of Barca's famous youth academy. The 19-year-old is a Spain Under 21 international and is valued at around £5m but Barcelona would demand a buy-back option if they were to sell.Villas-Boas is happy to put his faith in young players and gave Romeu his first Premier League start of the season in Saturday's 3-0 win over Wolves.Yesterday, it was reported that Chelsea had pipped Manchester City, Bayern Munich and Ajax to highly rated defender Andreas Christensen.